Here's a variety of Straw or Milliner needles size 3 thru 9, 15 ct. Exceptional polish for smooth glide through fabric. Fine point to minimize holes. Eye polished with a unique process to minimize breaking thread. Maximum strength, minimum bending. A straw needle is traditionally used in hat making. It is long and fine, with a sharp point and a round eye that is not wider than the needle shaft. 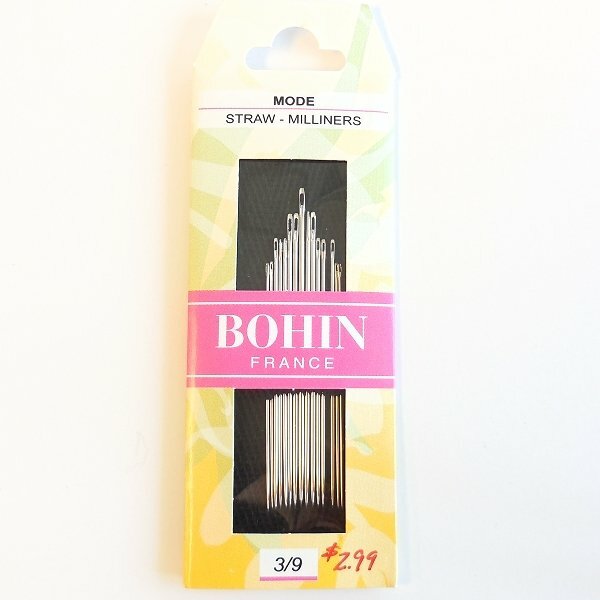 Quilters often use this needle for appliqué and smocking, as well as straw embroidery.